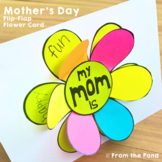 These Mother's Day cards are sure to bring a smile to all moms who receive them. 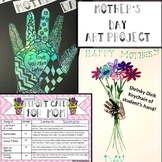 Students have four designs to choose from and will enjoy writing a special greeting to their mom. 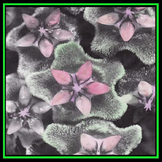 Enjoy and Make It A Great Day! 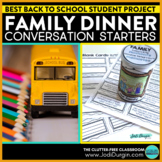 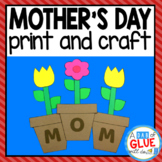 Five Easy Mother's Day Art Projects contain five art projects using everyday classroom art supplies, an introduction with presentation suggestions, supply lists for each, directions, and examples of each lesson. 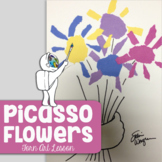 All of the projects are creating art with flowers in a vase, using five different ways. 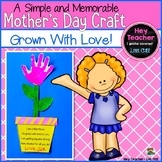 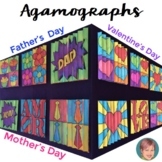 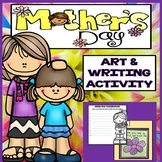 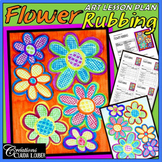 Template kids can decorate for a Mother's Day art project - ideas included in purchase. 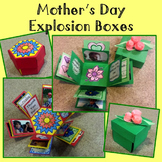 Mother's Day Craft Project-Grown With Love!